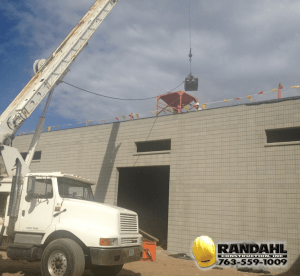 Randahl Construction, Inc. is a Minnesota General Contractor that contracts with building owners for new construction, design-build, expansions, concrete or commercial remodeling projects (View some of our projects here). With over 30 years of experience in the construction industry, we orchestrate, plan and coordinate the construction of your project according to your special conditions, budget, contract documents, building plans, blueprints and specifications for your project. 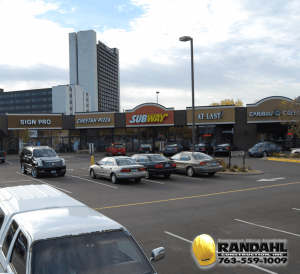 As your Commercial General Contractor, we supply all of the building materials, furnish labor, provide the equipment, machinery, engineering, vehicles, plus all of the specialized tools and services needed to complete your project successfully. Our founder Randy Olsen, uses a hands on project management style, our Site Supervisor is a working leader, who leads by example and can always be available for questions throughout the project. Our teams are trained to show up on the job site, on time, and ready to work. 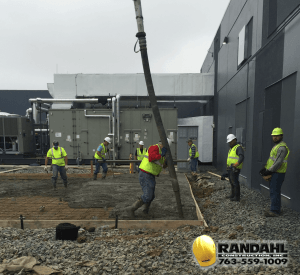 One of the greatest benefits of working with Randahl Construction is having the opportunity to work with our Site Supervisors. 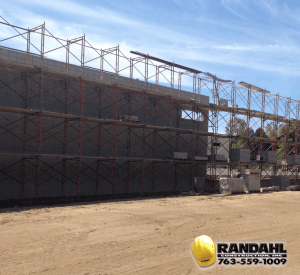 Randahl Construction often participates in the early planning and design stages by providing pre-design services – resulting in more accurate estimation of budget and scheduling during design to decrease the overall cost of your project. We work together with you and your architect to meet your deadlines and stay within your budget. On every project we work very closely with our subcontractors, even bringing them in during the estimate stages of project. We do this because we want our team to get hands on early in the project to make sure that our estimate is accurate and that our team gets familiar with the project and the expectations. We subcontract skilled trades to the appropriate subcontractors and engineers who specialize in the fields required to complete your project. Site preparation, land clearing & earth moving; sewage systems; landscaping and road construction; building construction including excavation & laying of foundations and erection of the structural framework, masonry, floors, walls, and roofs; and building systems including fire-protection, utilities, electrical, mechanical, plumbing, HVAC, and technology. 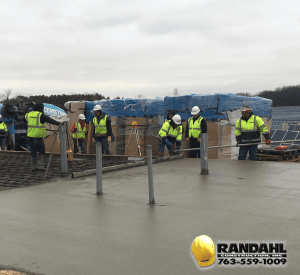 With over 25 years in the construction business, Randy and the Randahl Construction team understand that we are only as good as our partners, so we hold our subcontractors to extremely high standards, maintain great relationships and they understand the quality of work we expect. 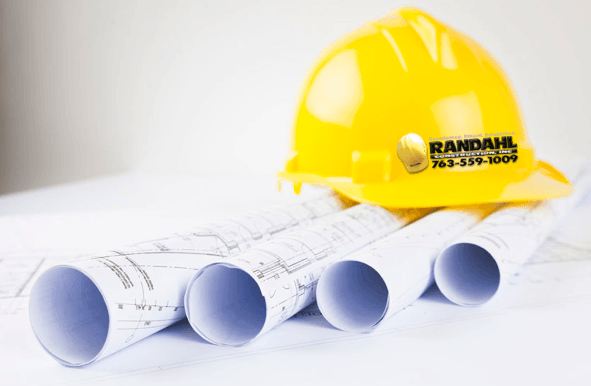 When you include Randahl Construction in your bidding process, you can have confidence that you will be getting a REAL NUMBER. Our trained estimators and project managers work together to ask all of the right questions ensuring that the project is bid properly. Our proposal process begins with a site visit, visiting the potential construction site while asking all of the necessary questions. 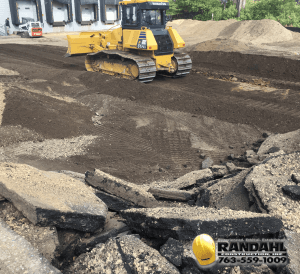 Randahl Construction carefully examines your construction site beforehand to ensure that your building plans work well with the land (or existing structures) – so there won’t be any surprises after you get our estimate. We often times bring our subcontractors into the walk-through with us during the bidding stages because we believe in hands on numbers that are accurate and real. We don’t just select our subcontractors based on who has the lowest bids; we choose the most experienced crews with the best reputations for your type of project. 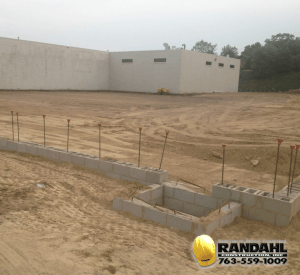 After your commercial construction project is complete and inspectors have approved your facility, our founder Randy Olsen will personally give you a walk-through of your completed project. We rigorously check everything and make sure every fixture has been installed correctly and all of your special needs have been satisfied in full. We send specialty workers to address and repair any issues. Our constant dedication to quality, reliability and value reflects in the fact that most of our current projects are return business. See some of our completed projects here.